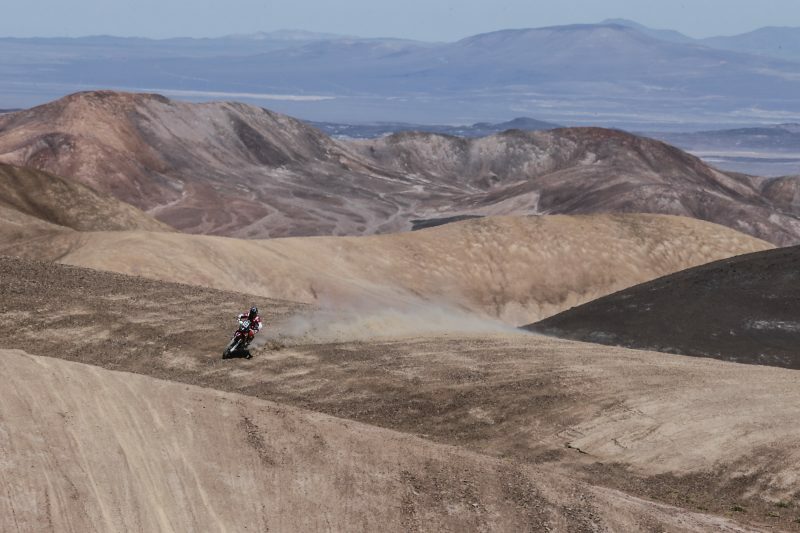 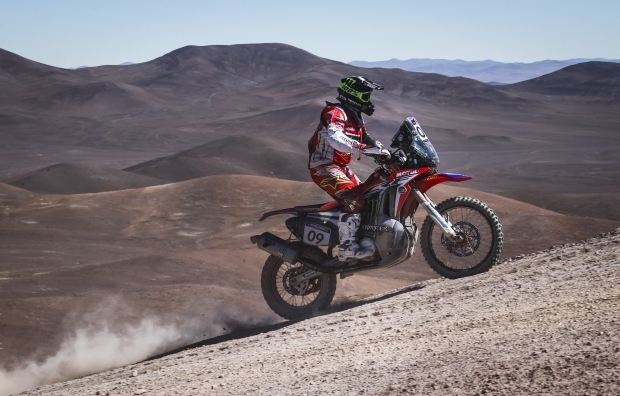 The halfway point of the Atacama Rally saw Monster Energy Honda Team’s Portuguese rider narrowly miss out on victory in a long, arduous and danger-filled special. 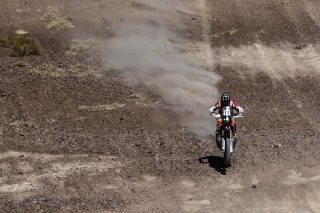 Kevin Benavides, with the disadvantage of having to open the track, finished fourth. 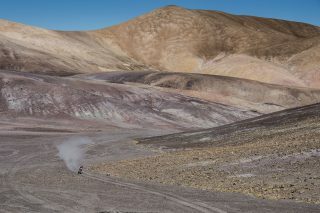 The participants of the Atacama Rally now find themselves in the heart of the world’s most arid desert. 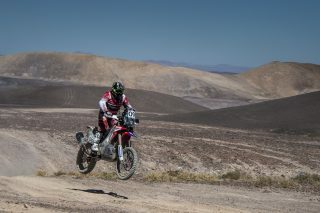 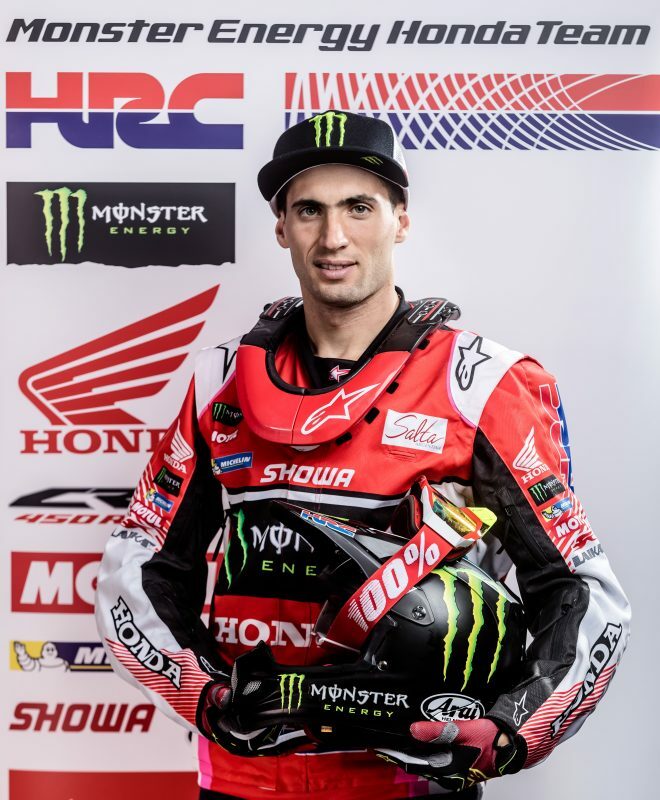 The third stage of the rally – from Tal Tal to Mejillones – produced fine performances from the two Monster Energy Honda Team riders, who vie for positions that could eventually lead to top overall results. 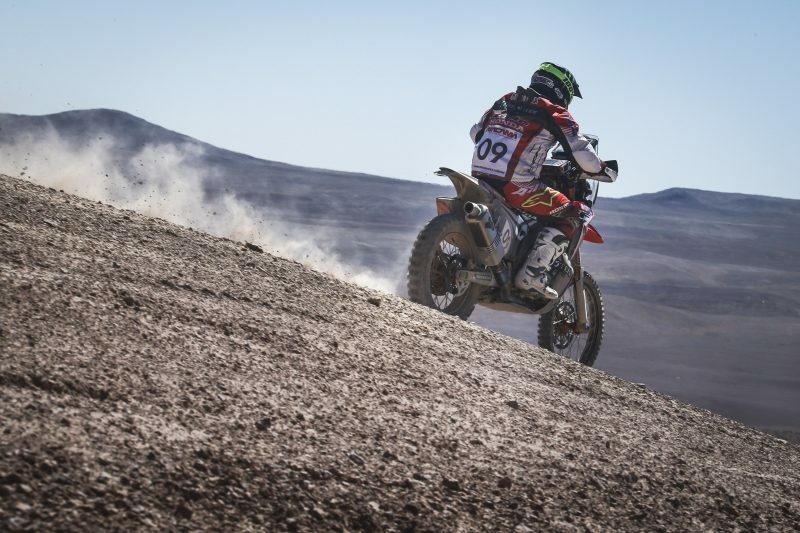 If yesterday it was Kevin Benavides who won the stage, today Paulo Gonçalves took the turn to carry the torch, although it wasn’t a stage for taking excessive risks given the sheer speed of the track and the fact that some hazards were not too clearly marked in the roadbook. 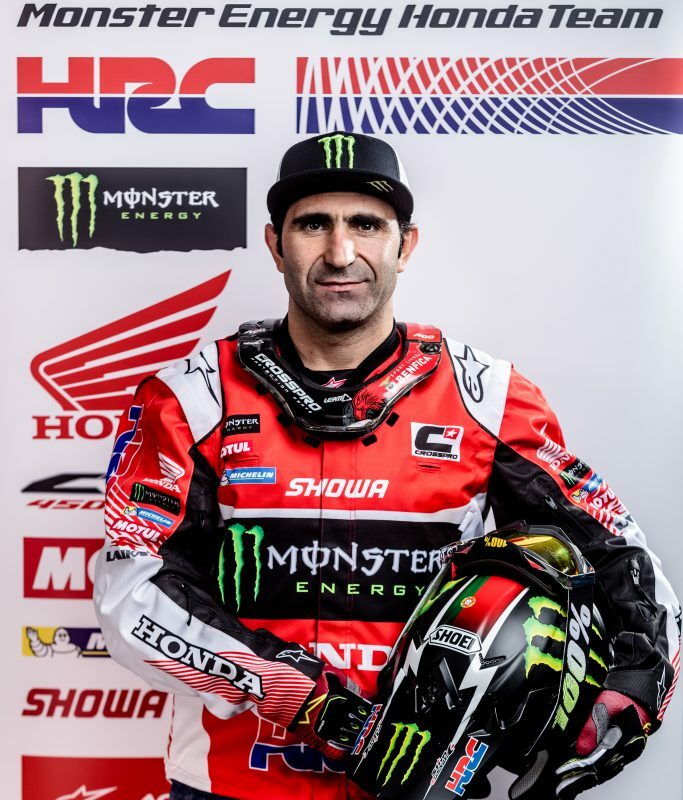 At the end of the day, the Portuguese rider astride the Honda CRF450 RALLY settled for runner-up spot some 3’30” adrift of the winner. 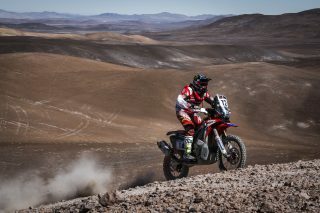 Paulo’s team-mate, Argentinean Kevin Benavides, opened the way throughout most of the special, with the added difficulty of having to read the roadbook at breakneck speed without references on the track. Kevin finished third and tomorrow will be hoping to claw back any time dropped today. 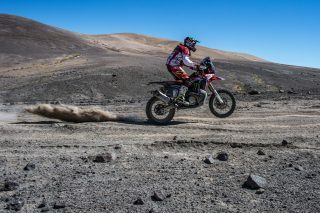 Tal Tal and Mejillones, two coastal towns on the Chilean Pacific hosted the third stage of the rally at a distance of 300 kilometres. 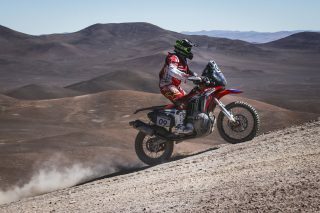 A total of 487 kilometres (308 kilometres) of timed special stage were disputed on Wednesday. 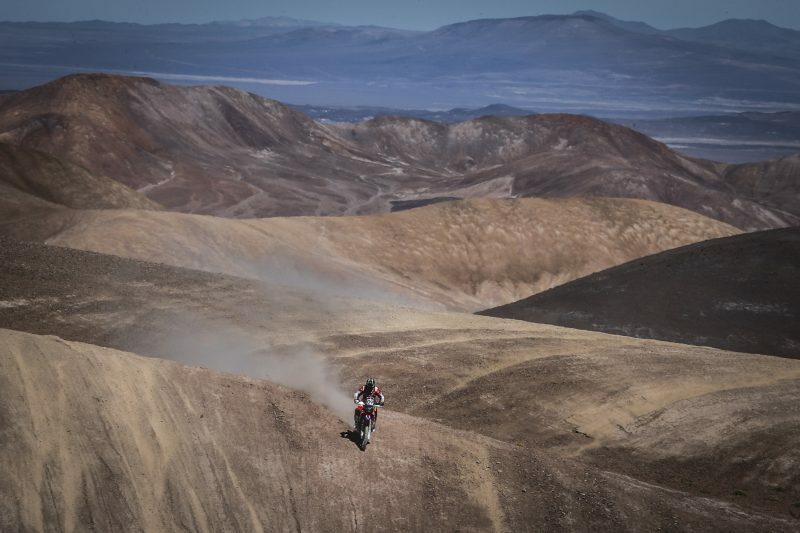 This third stage featured some sections that were used when the Dakar visited Chile in 2015. 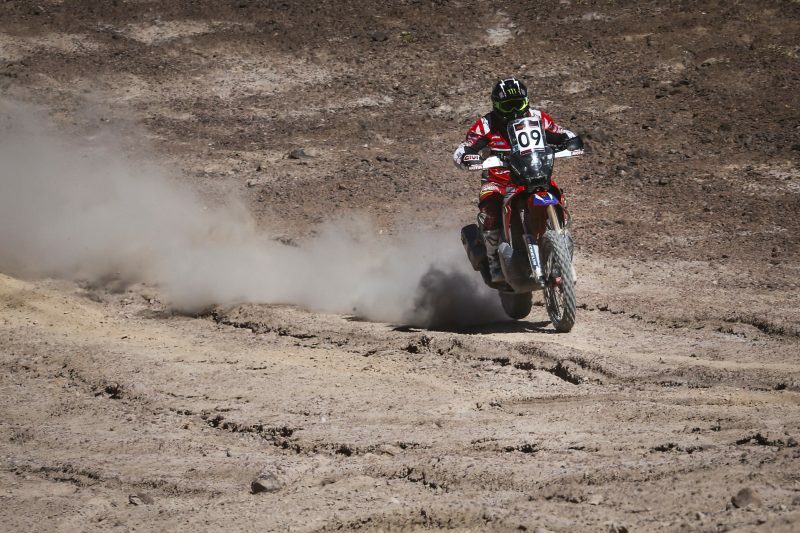 The riders had to overcome numerous hazards and very fast, rain-damaged track after the previous week’s downpours. 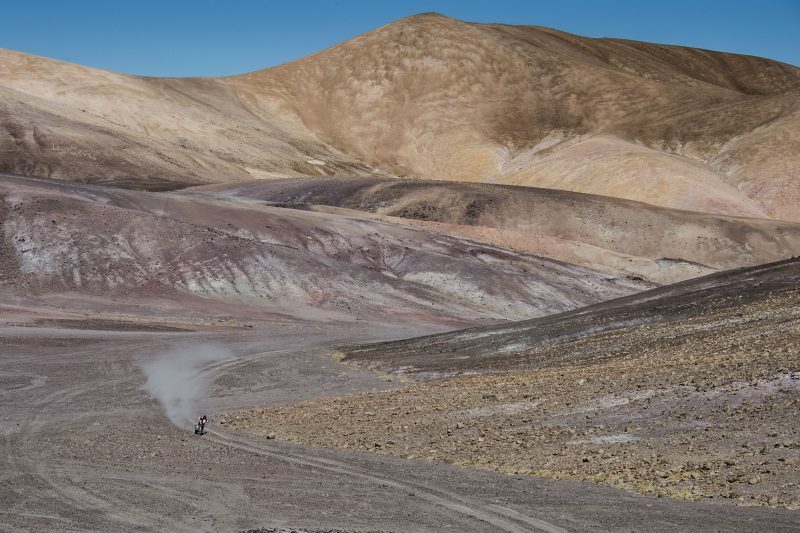 Tomorrow the Atacama Rally sees the longest stage of the race: 547 kilometres from Mejillones to Iquique, with 375km of special against the clock. 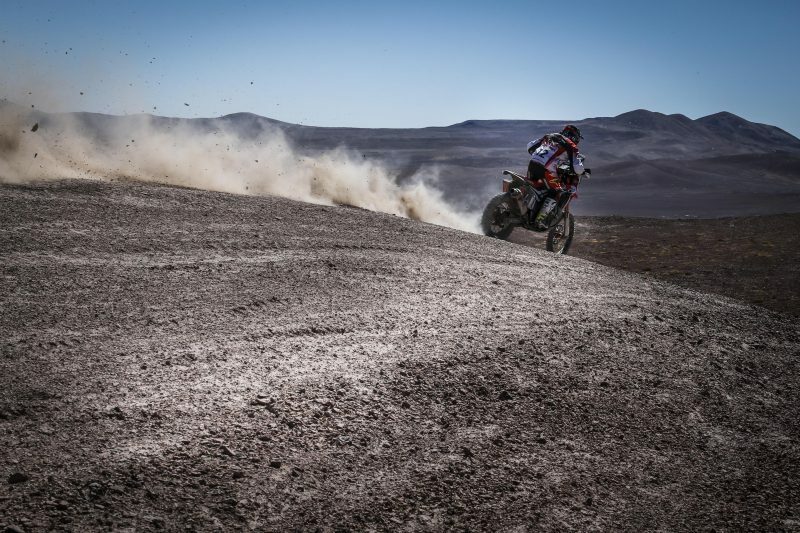 It was a fairly good but long stage of 350 kilometres with very difficult tracks, which we have already passed through once before in the 2015 Dakar. There were many dangers and I tried to go as fast as I could and I’m happy with the second place that I picked up. I felt pretty good with the hand injury and we will see what we can do tomorrow in another long and difficult stage. It went well. 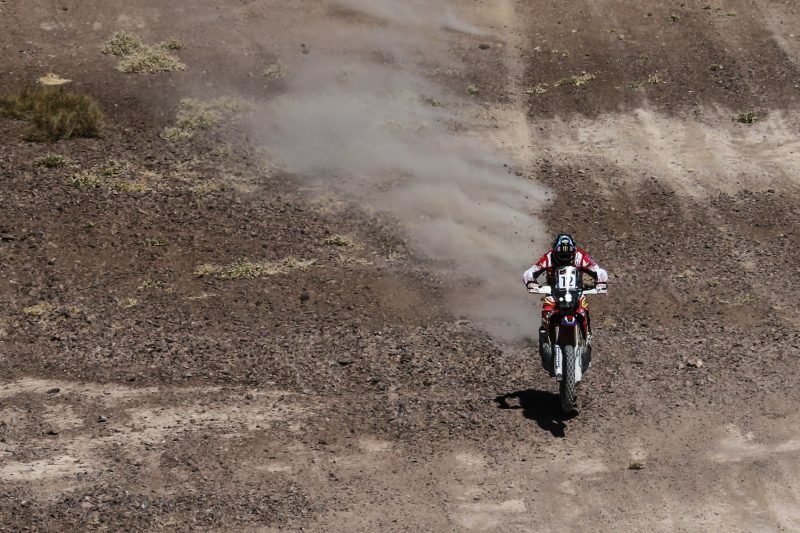 I had to open the stage and I knew the rivals would eat into my time a bit. 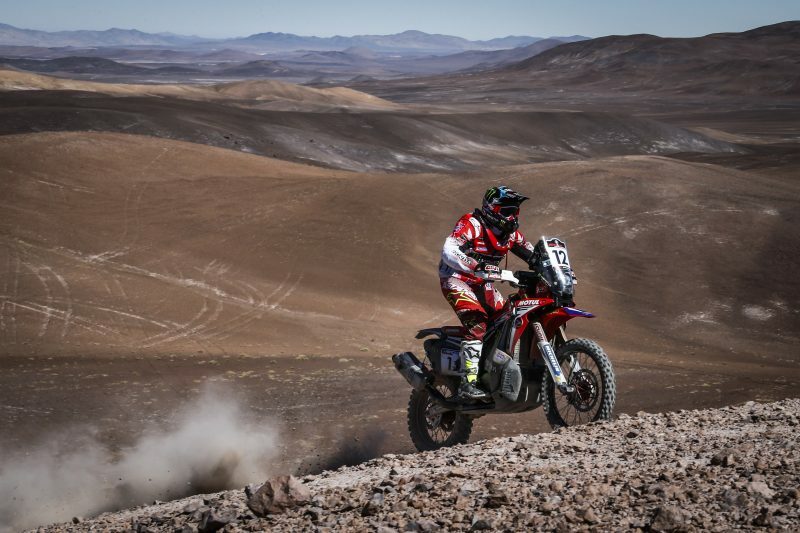 There were 350 very fast kilometres which were exceedingly dangerous, over the stretches of track we’d seen in the 2015 Dakar which were really broken up. 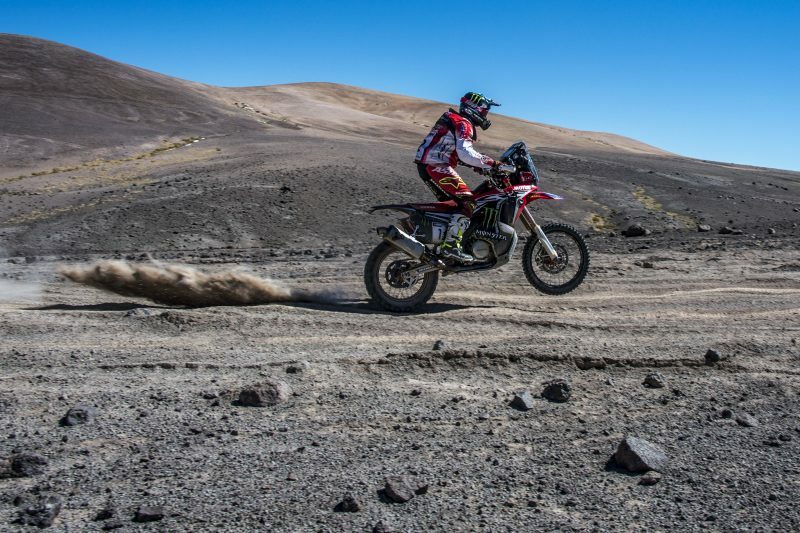 I tried to go at a good speed and watch out for the dangers which when you open the track mean that you have to be far more attentive, which slows you down. 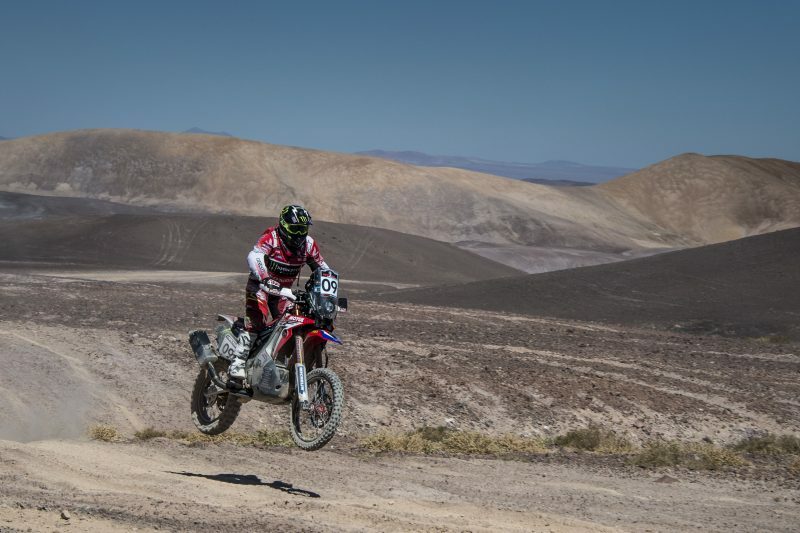 I am happy and now we are going to prepare the stage tomorrow - there are still two days of hard racing ahead.